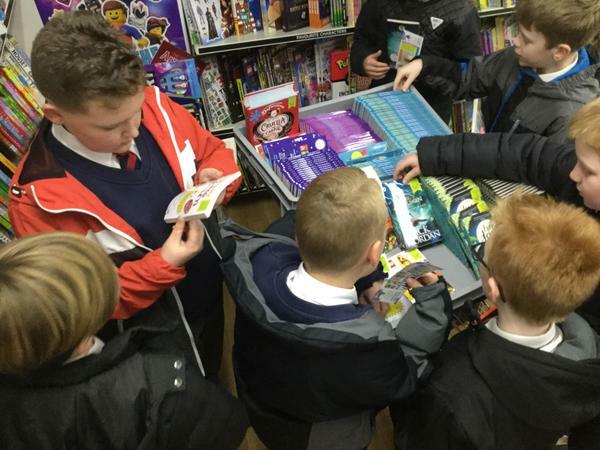 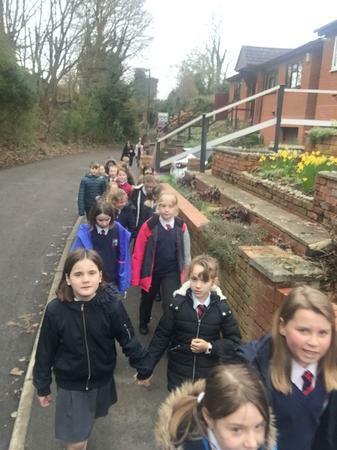 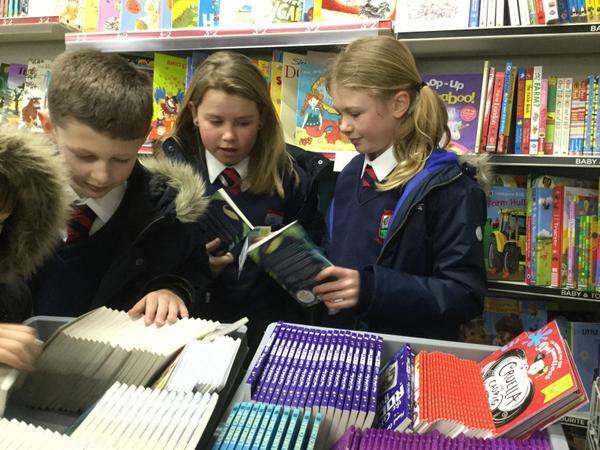 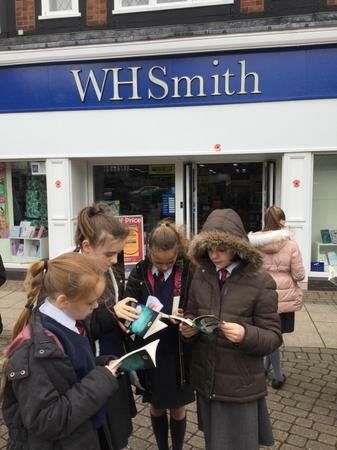 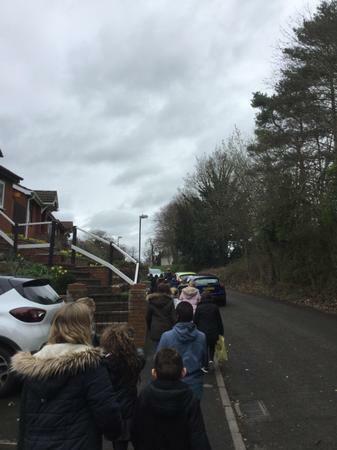 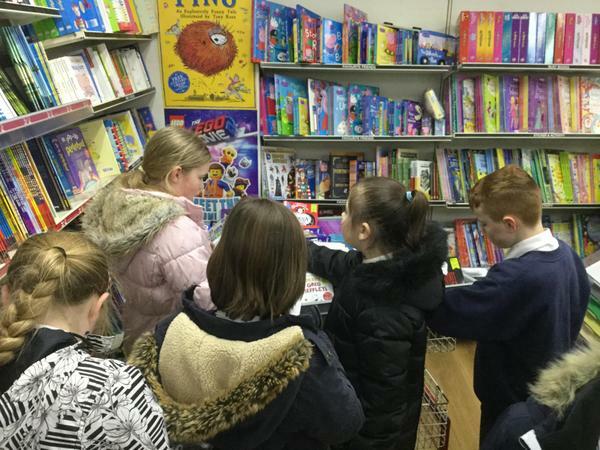 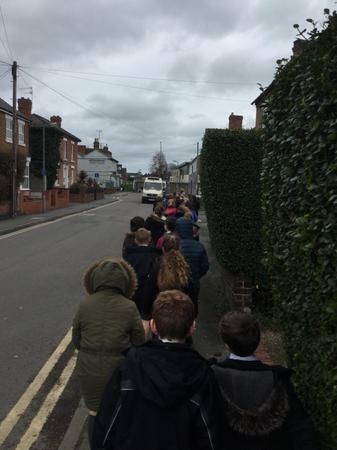 The children thoroughly enjoyed their walk to Droitwich WHSmiths to choose a book to buy with their £1 book tokens. 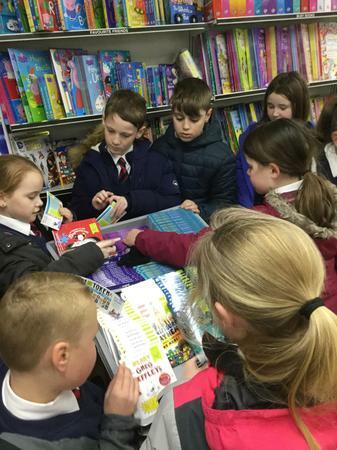 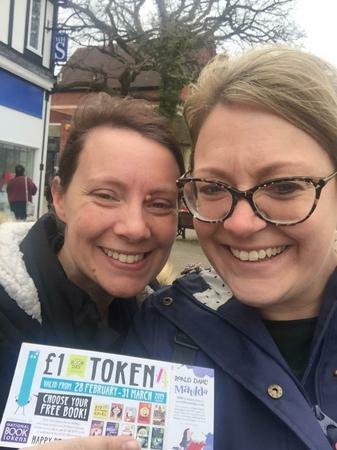 It was great to see so many children following this year's theme of 'Share a Story', and purchasing their books together, as a school community, was an ideal opportunity for this. 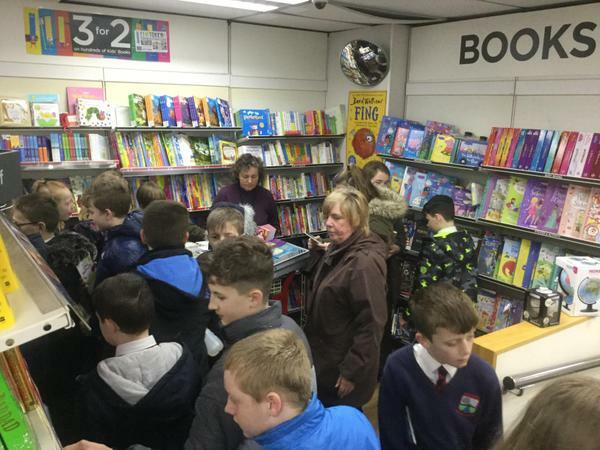 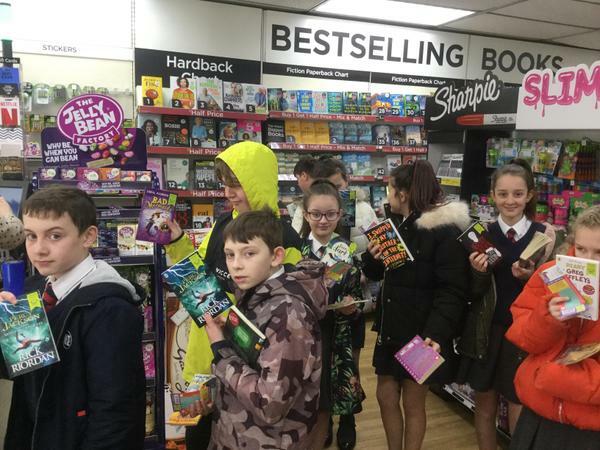 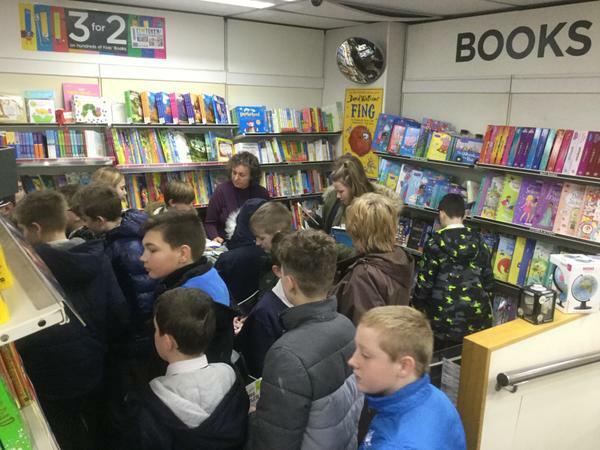 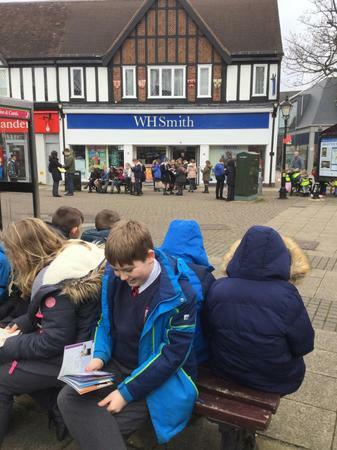 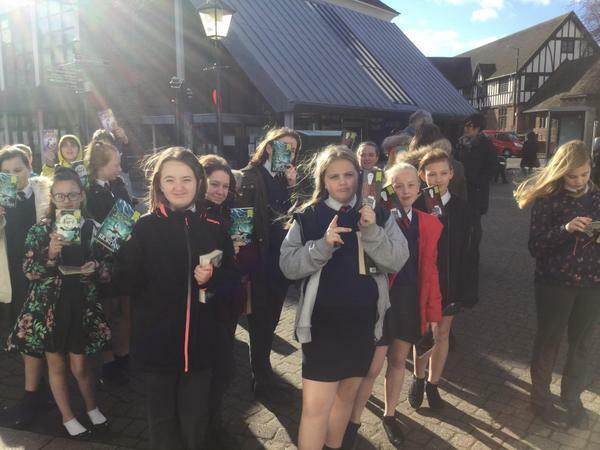 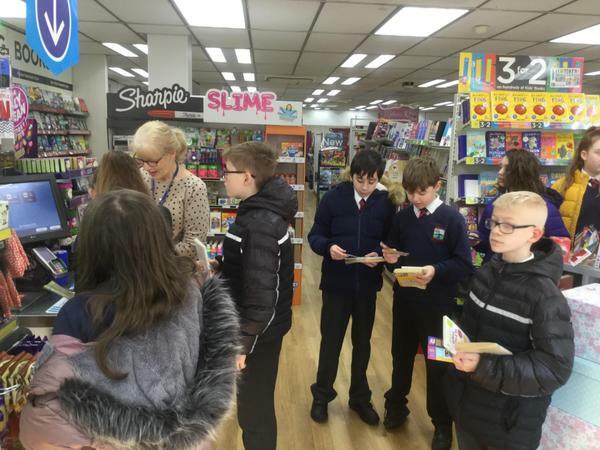 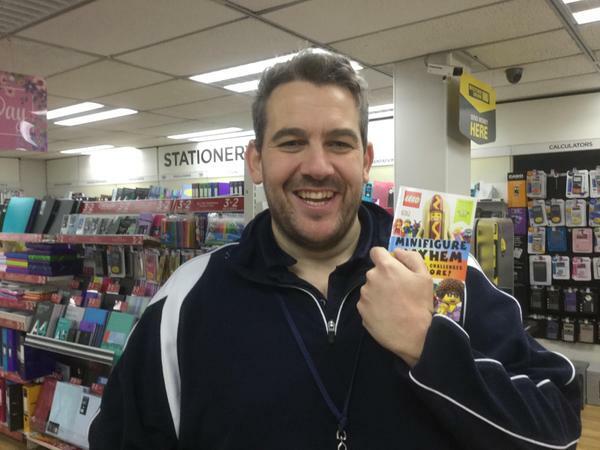 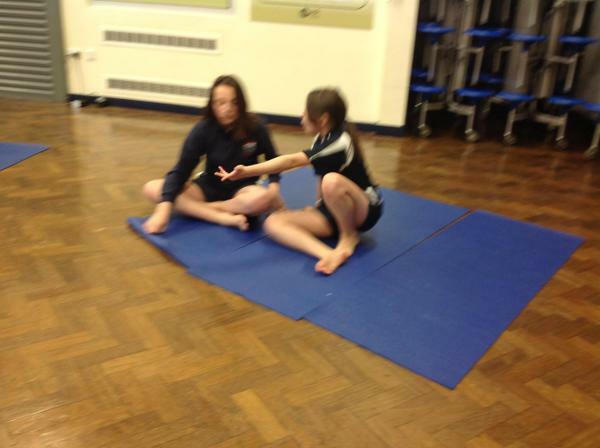 We'd like to thank WHSmiths for ordering in extra books for our pupils and accommodating us on the day. 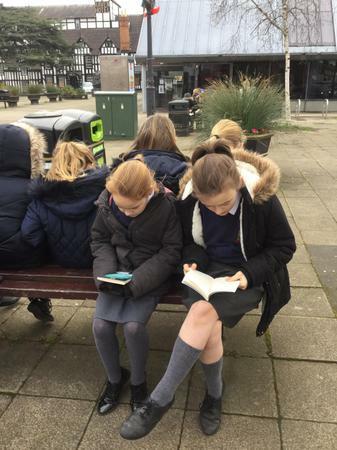 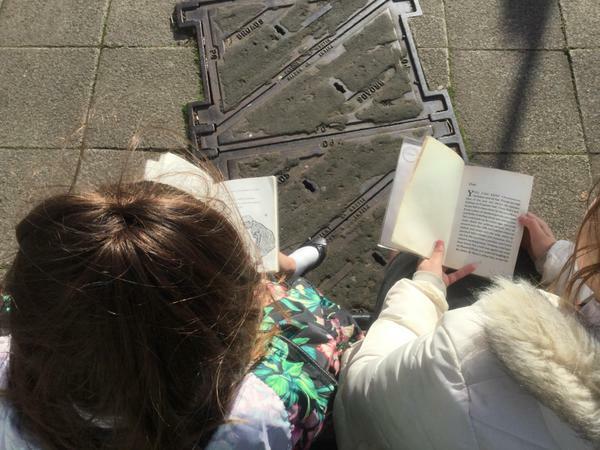 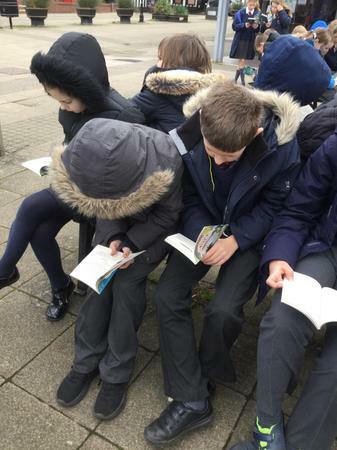 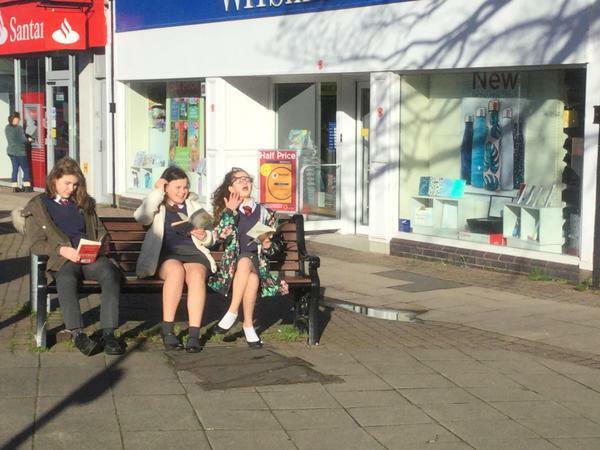 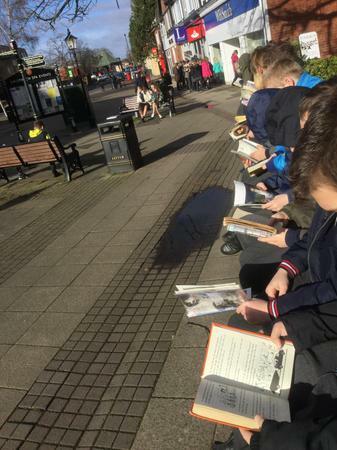 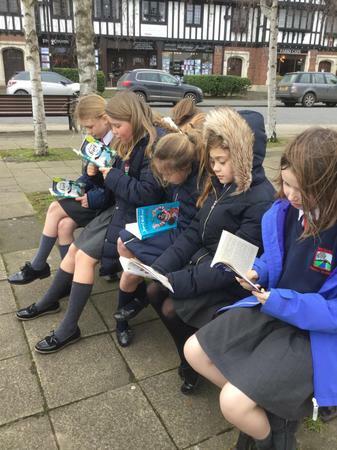 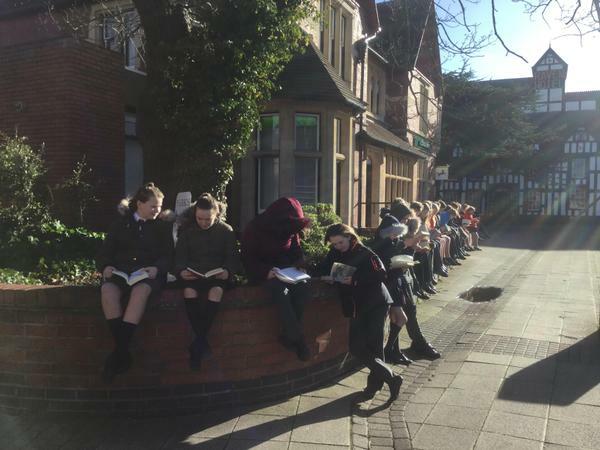 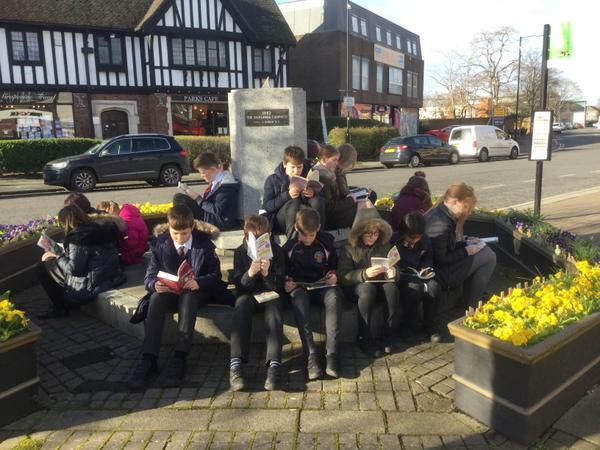 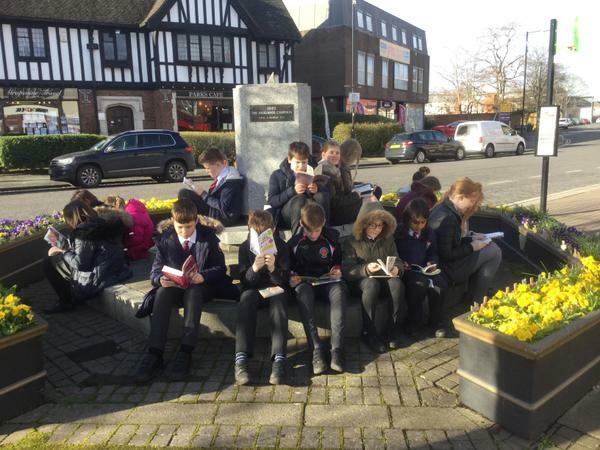 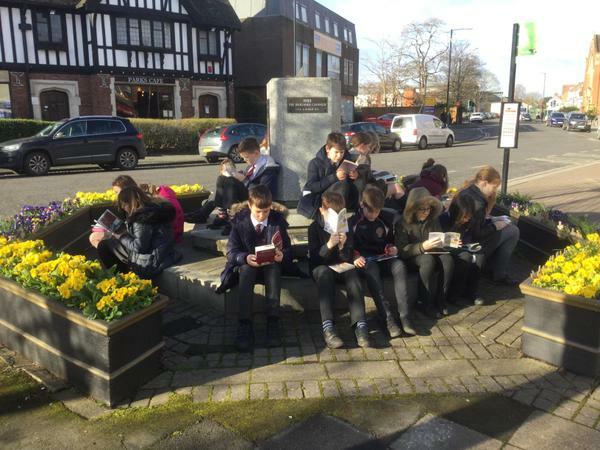 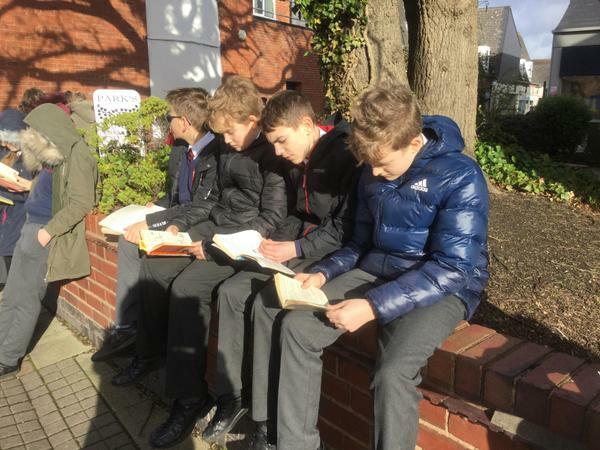 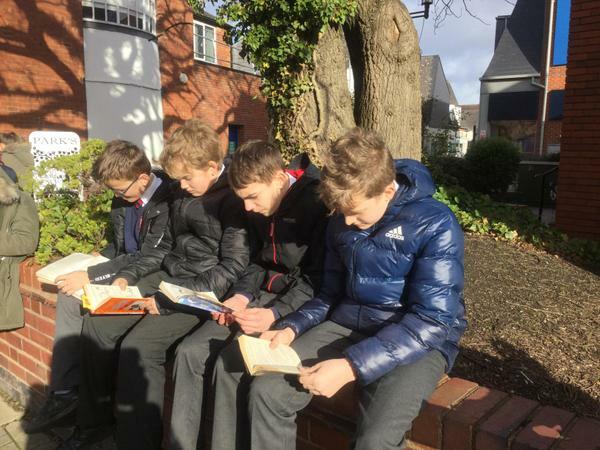 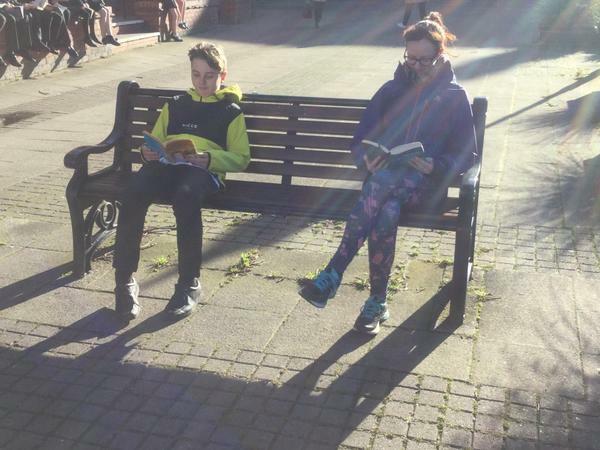 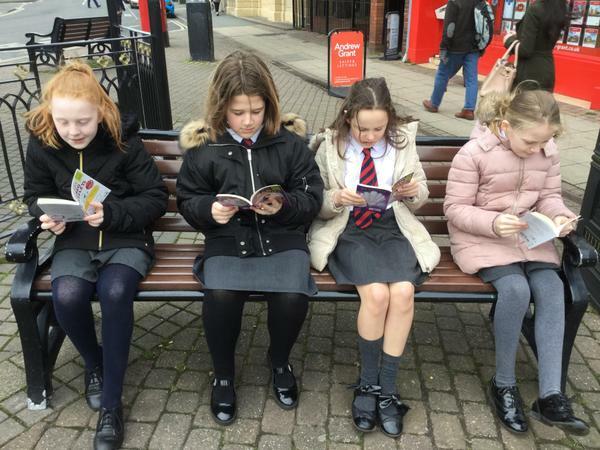 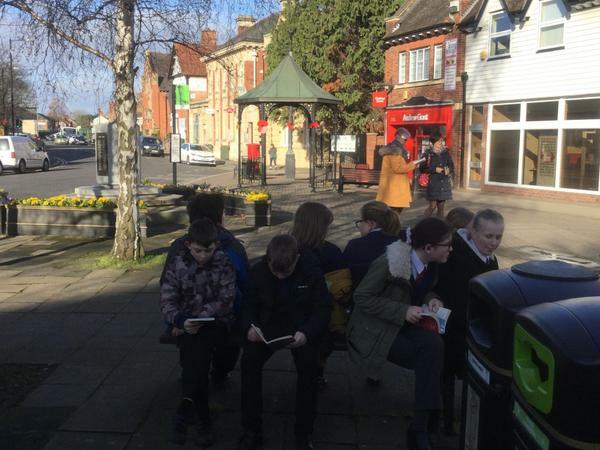 The children also enjoyed a 'flash mob' read where pupils sat on benches reading their books outside Droitwich Library. 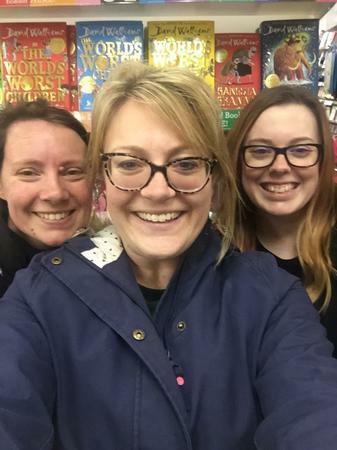 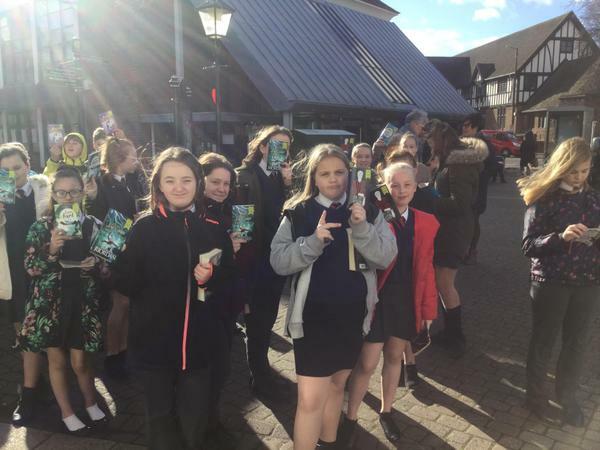 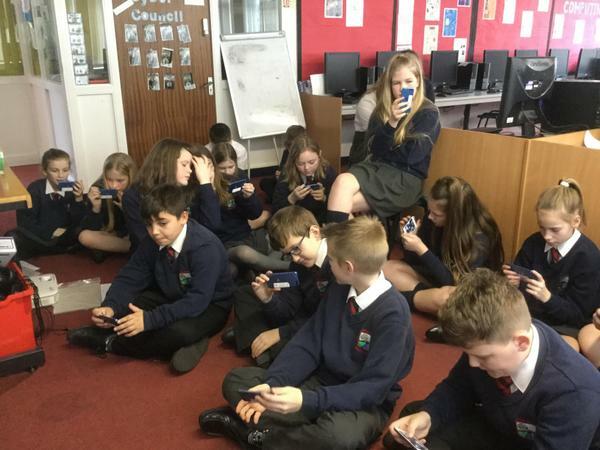 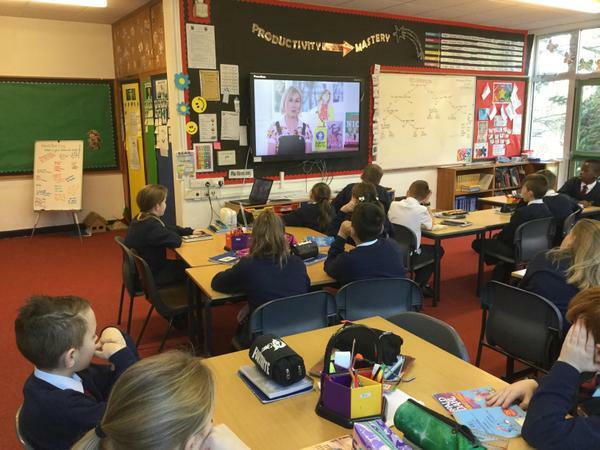 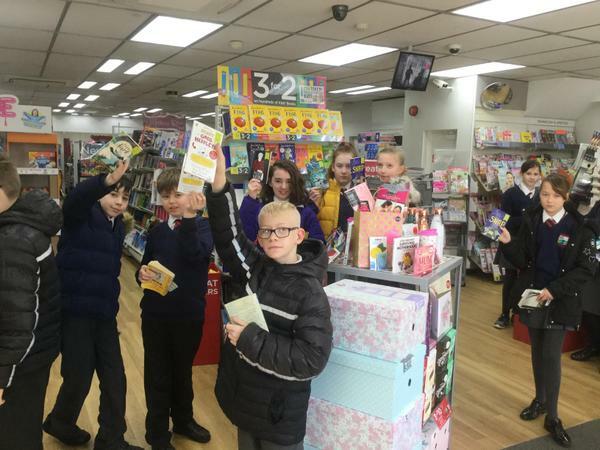 This supported Westacre's Drop-Everything-And-Read (DEAR) scheme where every week, pupils and staff stop the day-to-day school routine in favour of picking up a good book.